The Svantek Impact Ball SP 95 is used for sound insulation testing in light weight structures where a standard (tapping machine) impact sound source would create too much impact force. It has been designed in accordance to ISO 10140-5 and ISO 16283-2 standards. 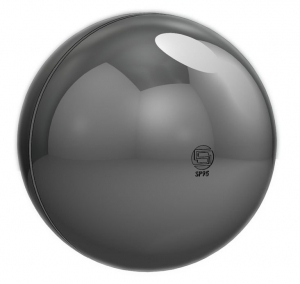 The use of SP 95 Impact Ball is very easy – it is dropped vertically in a free fall from height of 100 cm to the surface of the floor. In practise SP 95 can be used to assess soft impacts related to human disturbance, such as children jumping.ta archiving, automatic web publication, etc.